One of the most popular video game franchises of all time is joining the Minimates family! The 2-inch mini-figure line that brought fans the highly popular Nightmare Before Christmas series will jump back into the world of Disney, with three new two-packs: Sora with Donald, Mickey with Goofy, and Space Paranoids Donald with Tron! 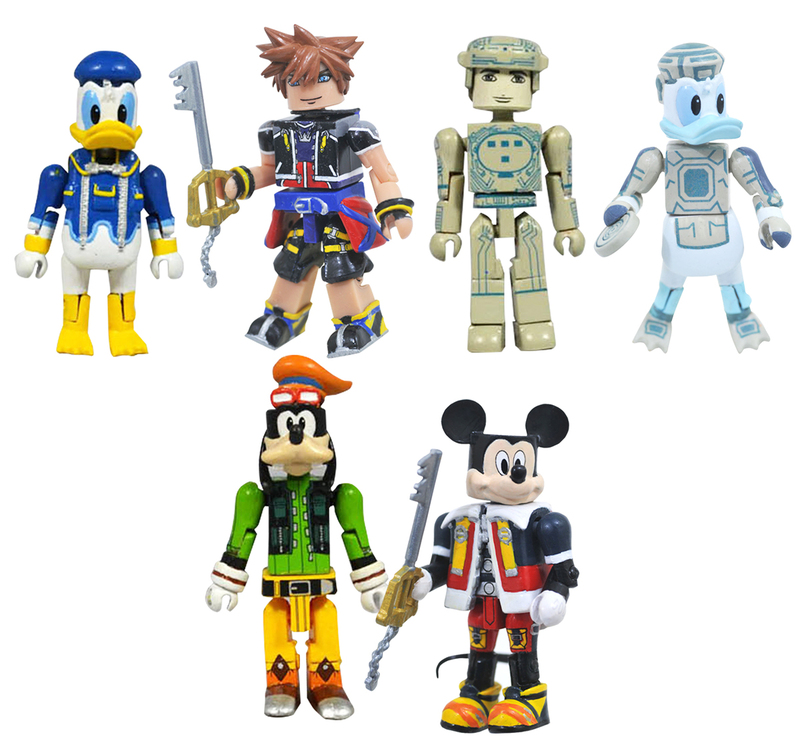 Each mini-figure features fully interchangeable parts and 14 points of articulation, as well as character-appropriate accessories, including Keyblades, identity discs and more! Each 2-pack comes packaged on a full-color blister card.